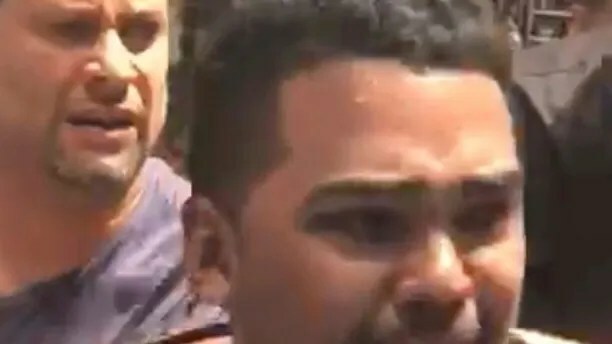 The man accused of steering his car onto one of the busiest sidewalks in Times Square and mowing down pedestrians on Thursday told police he wanted to “kill them all,” prosecutors said. Richard Rojas, of the Bronx, was charged with murder, 20 counts of attempted murder, and five counts of aggravated vehicular homicide, police said. Rojas’ lawyer did not comment on the case. 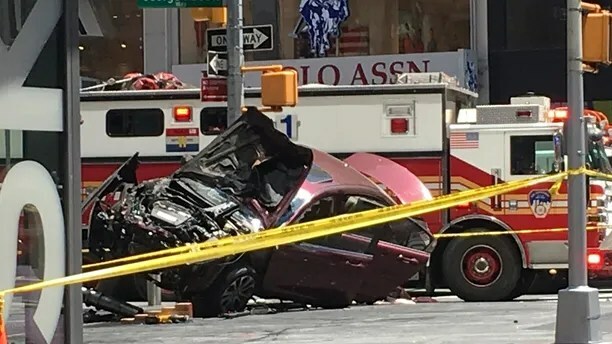 The 26-year-old was arrested Thursday afternoon after his car sped down three blocks in Times Square, hitting nearly two dozen people before steel security barriers finally stopped him. An 18-year-old tourist from Michigan, Alyssa Elsman, was killed. Her 13-year-old sister was among the 22 injured, four of them critically. The suspect had served in the U.S. Navy, but was discharged after disciplinary problems, military officials said. Several witnesses told Fox News after the driver crashed, he tried to escape; however, he ultimately was pinned to the ground by five people who held him at the scene until police arrived. Rojas initially tested negative for alcohol, but more detailed drug tests were pending, according to two law enforcement officials who were not authorized to speak publicly, and spoke to The Associated Press on the condition of anonymity. The officials said Rojas told officers he had been hearing voices. The carnage unfolded in a part of the city that has long been considered a possible terrorist target because of its large crowds, a concern that became elevated after the Sept. 11 attacks and compounded by recent attacks in England, France, and Germany in which vehicles plowed through crowds of pedestrians. Police identified the woman killed by the car as a woman of Portage, Michigan, who graduated last year from Portage Central High School.